Welcome to InLoox PM 8! We compiled information that helps you get started with your first InLoox PM 8 project. InLoox PM 8 fully integrates with Microsoft Outlook and is always available with one click. 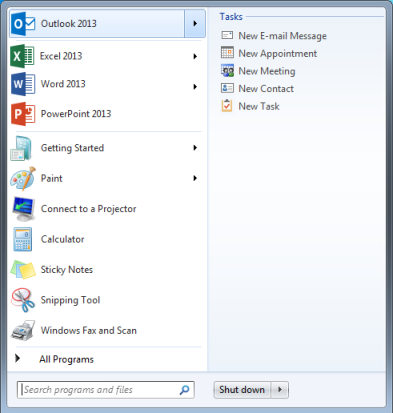 Open InLoox PM by clicking on the InLoox PM tab in the MicrosoftOutlook Ribbon. 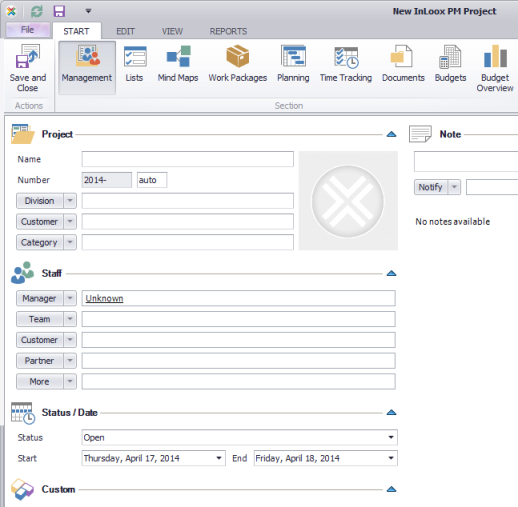 To open your project list, click on Projects in the Common group on the InLoox PM Ribbon. Click on New Project in the New group to create a new project and enter the basic project information. Enter project related information in the management form. Note Every new project is automatically assigned a unique project number. If you customize the project number, make sure that you assign only unique project numbers. Getting started with InLoox PM 8 • Copyright 1999-2019 © InLoox, Inc. All rights reserved.